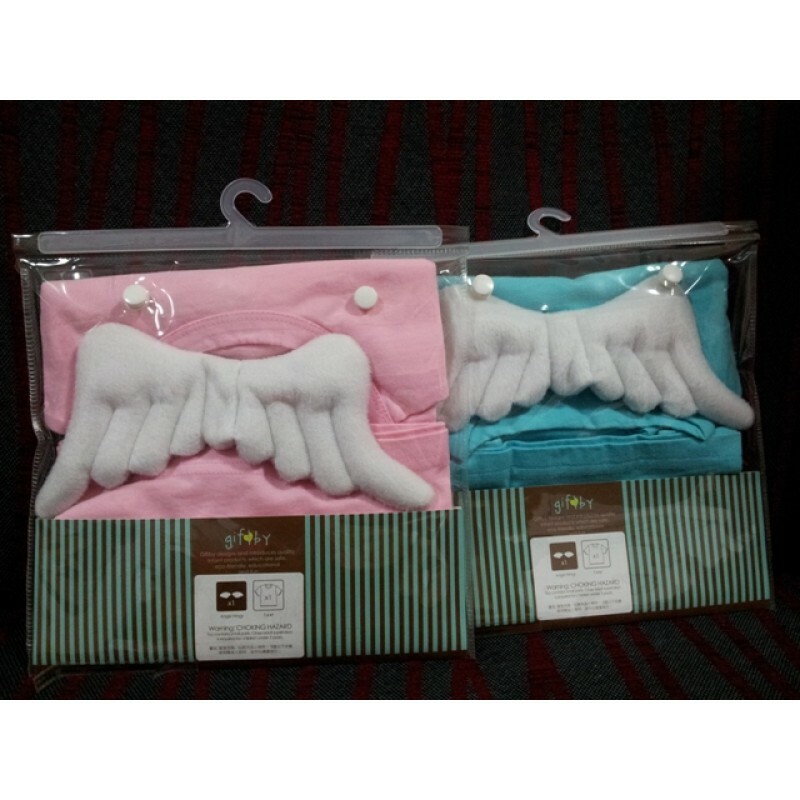 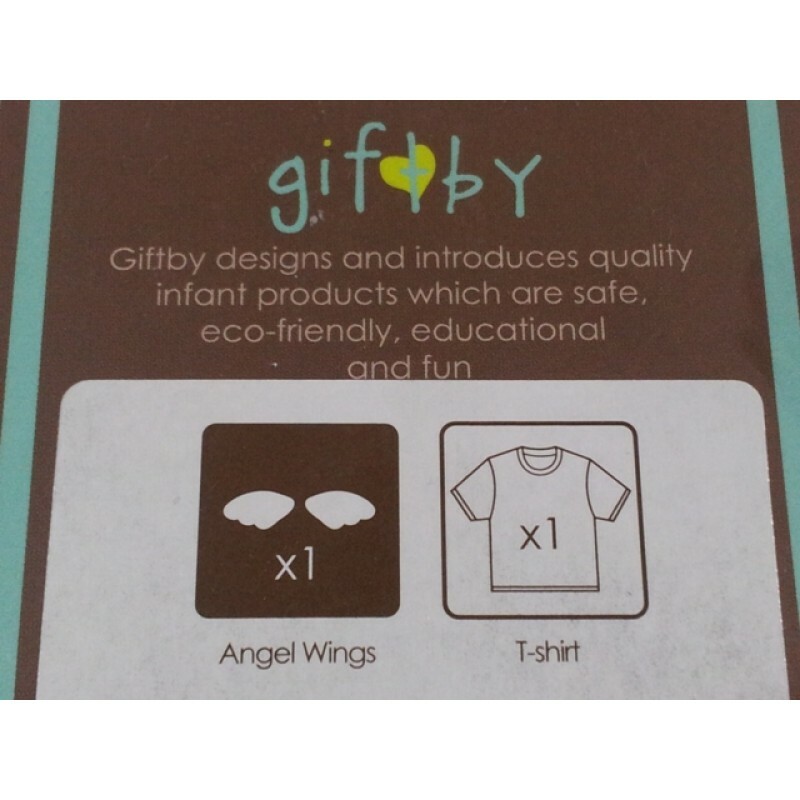 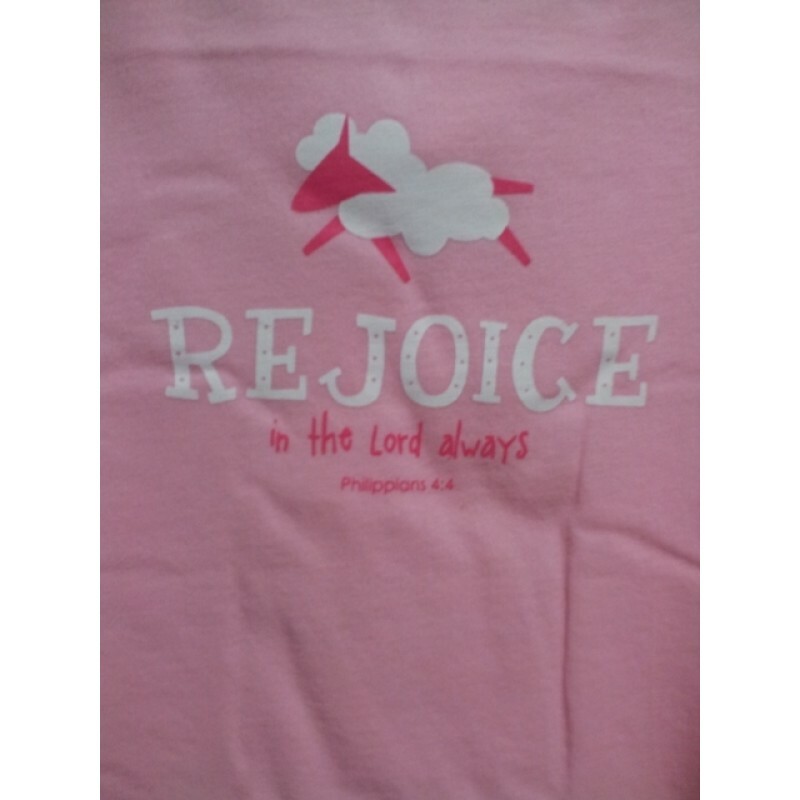 Specification : Blue/ Pink T-shirt with detachable angels wings (nylon fake fur) - wings attached to the back of T-shirt by buttons. 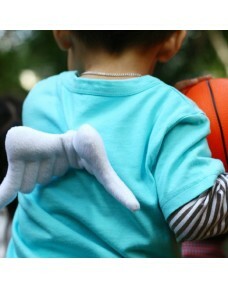 Spread some cheers and loves with this back angel winged t-shirt. 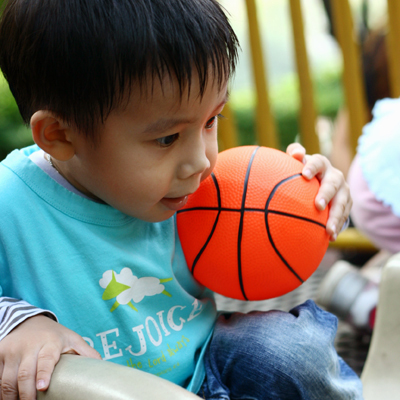 This 100% cotton t-shirt features round neck and short sleeves, ideal as casual summer wear. 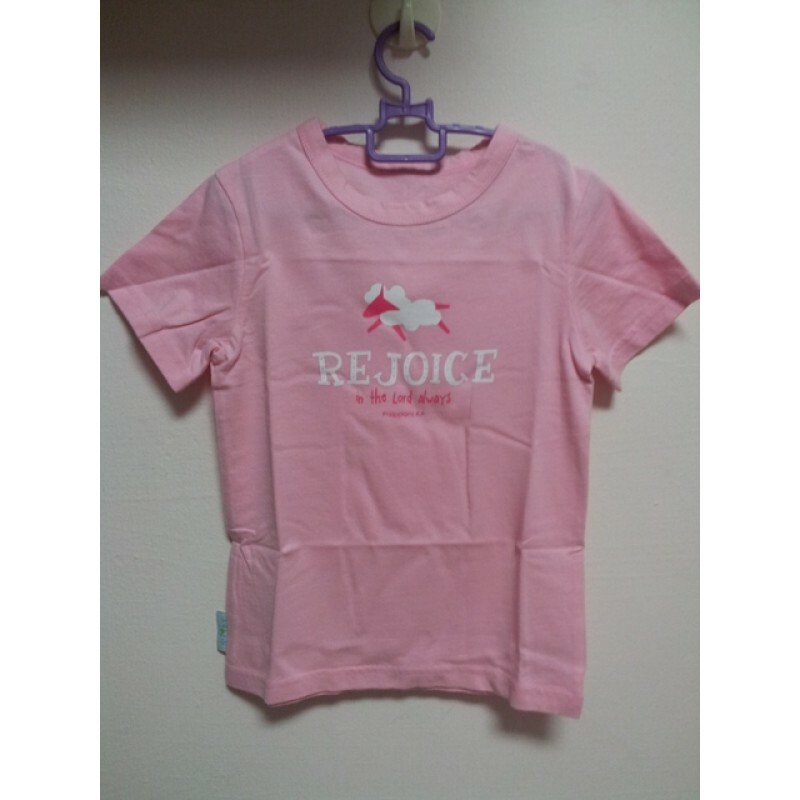 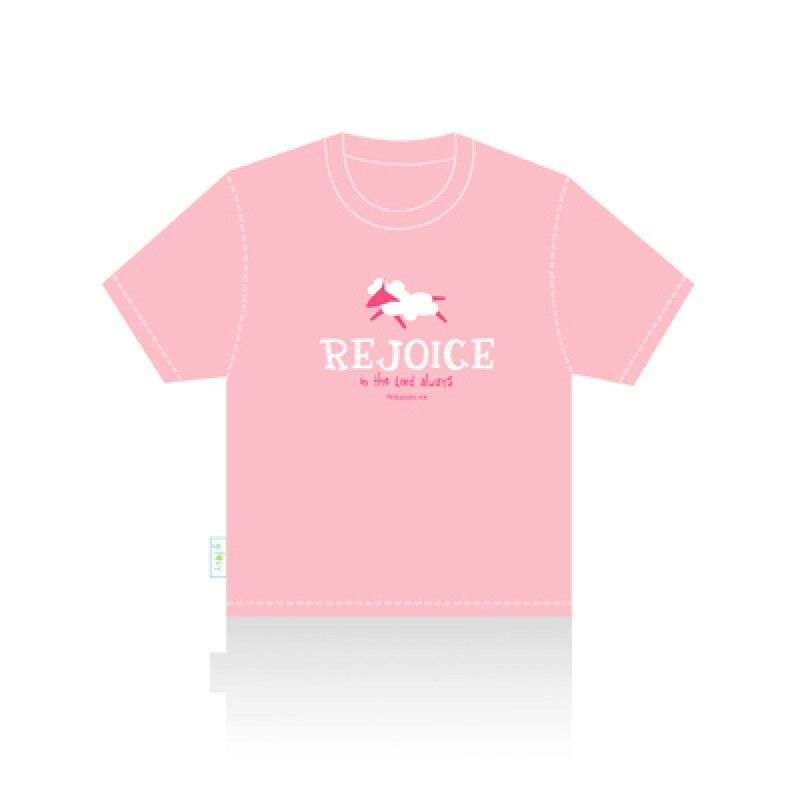 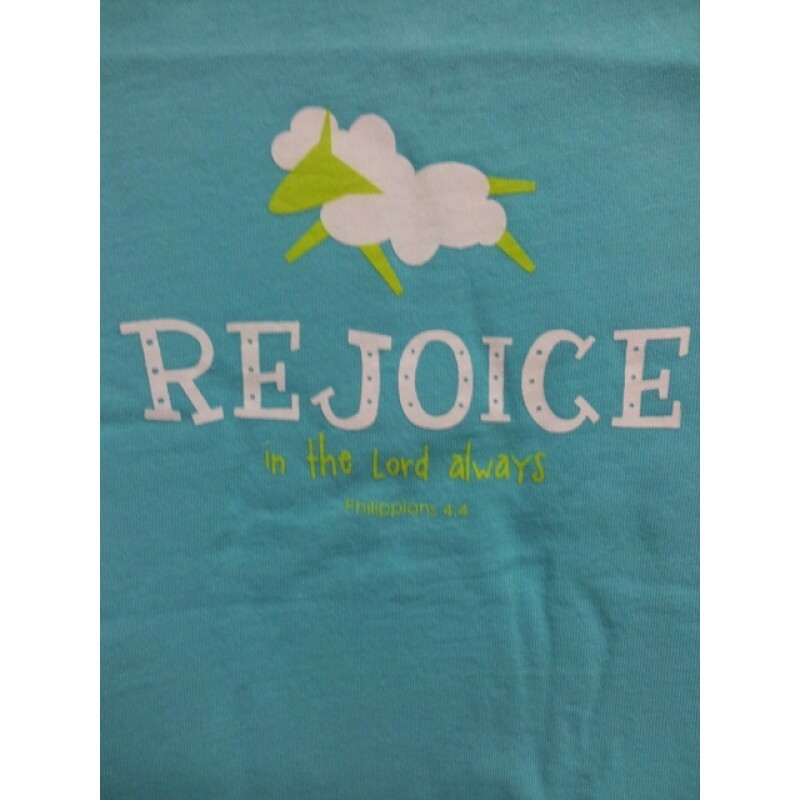 Creatively designed, this top flaunts a front sheep graphic with the word “Rejoice” and is complemented with a pair of back removable 3-d fabric wings for added sweetness and cuteness. 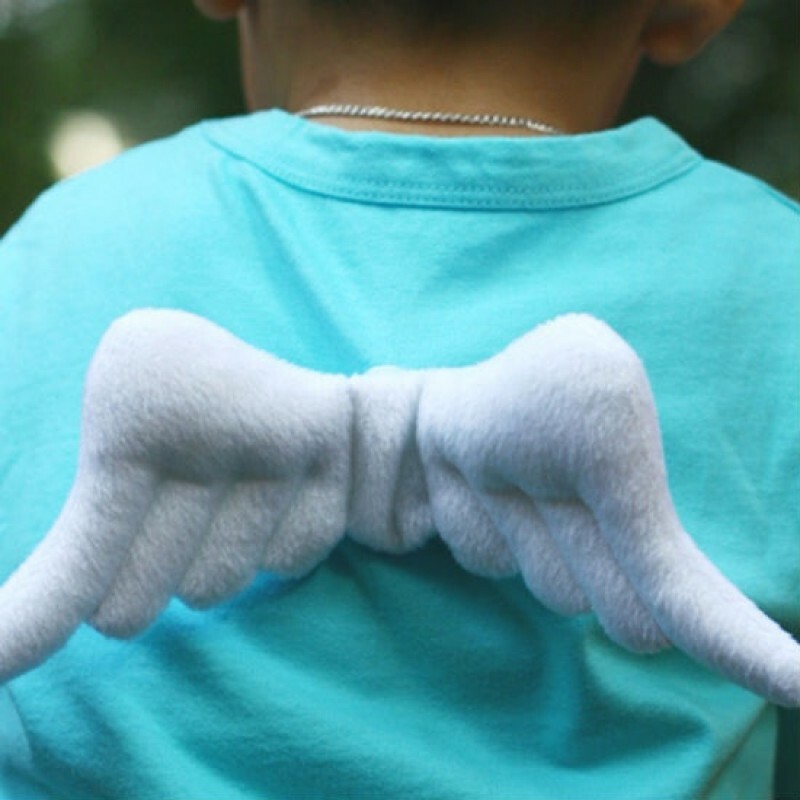 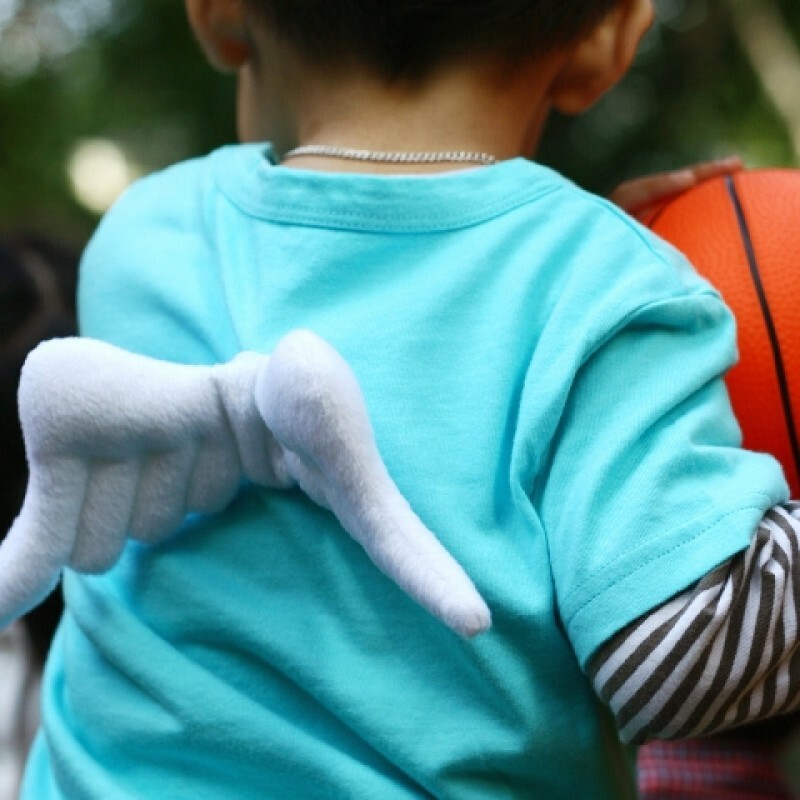 Removable and washable back wings.